We at DR are thrilled to give you a look at an upcoming track from death/black act The Furor’s explosive Cavalries of the Occult release, due out next week (March 5th) on Transcending Obscurity Records. You can listen to a track entitled “Rampage Upon the Rational” at the bottom of the page, as well as check out the Bandcamp widget for pre-ordering the album (you can stream two other tracks as well). The first 100 that pre-order the CD version will also get a woven patch. “Rampage Upon the Rational” is the song of the hour and actually sees the fiery act easing off the blasting assault just a smidge. Much of the song sits in the mid-tempo range, with moments of horrific atmosphere and otherworldly leads taking over from the blistering death/black/thrash combo that the band unleashes at full-speed. Not that “Rampage” doesn’t have its fair share of venom to display. Moments of frantic blasts and chaotic riffing have their place at the table, but the focus on melodies that don’t compromise the intensity is duly noted and appreciated. A solid track that displays not just the fury, but the depth the band is capable of. Says the label: THE FUROR from Australia prepare an explosive concoction of death, black and thrash metal and the result is scathing to say the least. Drumming phenomenon Dizazter is a part of Singaporean legends IMPIETY and not only does that have an influence over here, he’s taking it to a different extreme. Mind-boggling drumming aside, his skills with guitars too are no less impressive and he has laid down all the songs for this album. 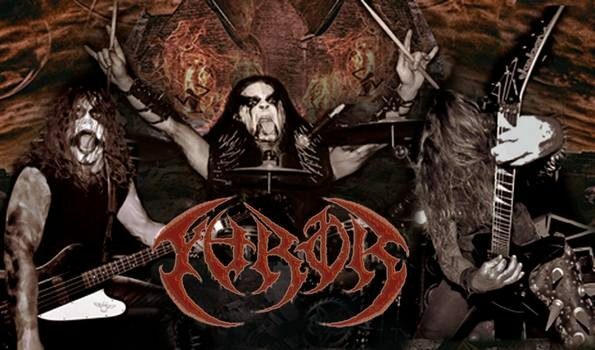 Aided by Hellhound and The Grand Impaler, THE FUROR whip up a storm of biblical proportions. From start to finish, the album is absolutely unforgiving but it has its share of clever variations and deft tempo changes without derailing the entire momentum. Cavalries of the Occult will go down as one of the most venomous albums of its time.